BAR HARBOR, Me. -- In a five to two vote, the city council approved a measure last night to change the name of the town here to Bah Hahbah. "The reason for the change," said Mayor Charlie Parker, "is to preserve the local flavor of the town by protecting it from contamination of foreign speech patterns. The change will help to preserve the charm of the city and keep it competitive as a tourist destination." Long time residents of Bar Harbor had complained for years that people coming as far away as Bakersfield and El Paso to take up year-round residence in the town were diluting the dialect that is a landmark of this Down East community. To show his commitment to these changes, the mayor announced that he has filed with the Maine State Board of Records to legally change his name to Chahlie Pahkah. In a related and more controversial matter, the council is considering an ordinance that would ban all future businesses operating within the city limits from using "R's" in their signage or in their advertising. Businesses already licensed would be exempt from the regulation until their licenses had to be renewed. Speaking out against the passage of the ordinance was Rory Rerirour, who for the past 16 years has operated Rory Rerirour's Roaring Rower Rentals, a business that rents kayak's near the Village Green. Also opposing the new ordinance were Sheila Sapermann, spokesperson for the Toys "R" Us retailer, and Wayne Puchilow, New Development Vice President for Burger King. 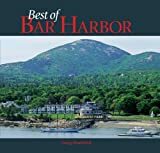 According to the Bar Harbor Business Journal, both companies had ambitions to open stores here in the next few years, and passage of such a measure would essentially prohibit the businesses from operating within the city limits. When contacted by Err Travel, neither company would comment on what their plans are now.